Once the street has been selected, the player is set for the ride of his life!. Pushing the handlebars forward accelerates, pulling back results in a radical skid (for those who dare). The object is simple, the outcome is hilarious. Players use the "Throw" button to deliver papers to the houses on his subscription route. (Most points are scored by hitting the mailboxes.) And for those houses not on the route?... heh, heh, heh. Papers can be thrown at non-subscribers' houses to break windows and hit other target objects. Game play proceeds by days of the week. Each game consists of a 7-day week starting with Monday. 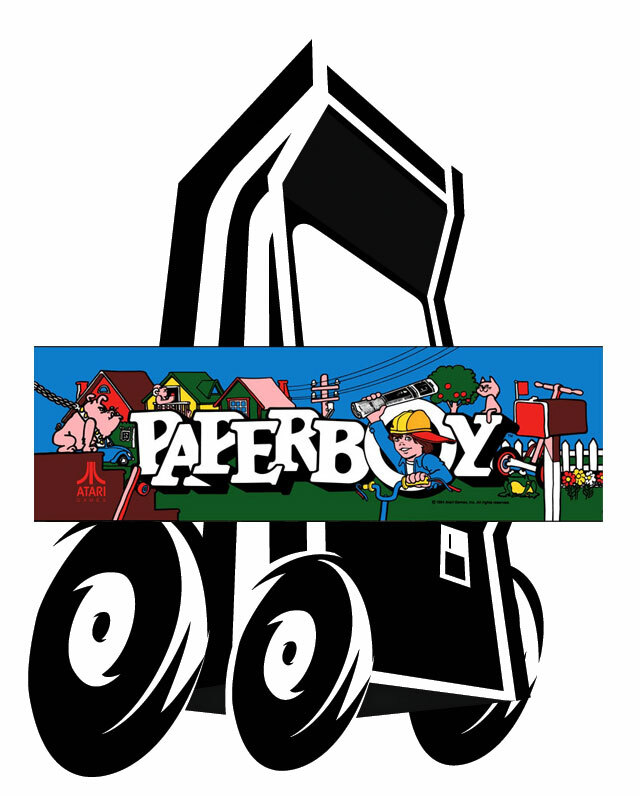 The paperboy must get through his route each day and try to make it all the way to Sunday. Every new day offers more excitement and challenge in the form of zany neighborhood characters ad obstacles. To keep the game going, the player must ride over bundles of papers to restock his supply. A "Perfect Delivery Bonus" is also awarded if all customers receive papers. Player receives twice the score for each house delivered. Non-delivery or breakage to customer's house loses that customer. The game is over if all customers are lost. H: 72.25", W: 25.25", D: 33.75"